Tia’s spin on this favourite little tipple. 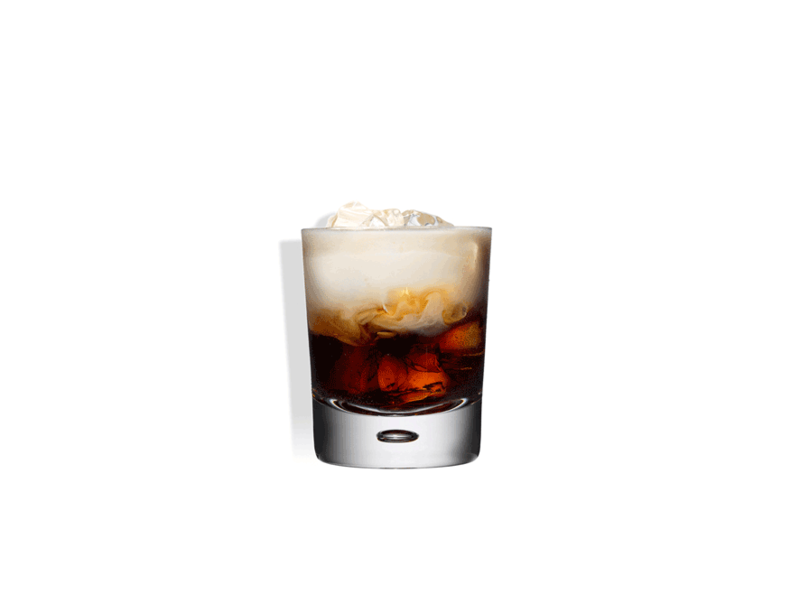 In a tumbler glass add cubed ice, Tia Maria, Rum, espresso and sugar syrup and stir well. To prepare the cream, either shake well in a squeeze bottle or dry shake (without ice) in a cocktail shaker. Layer on top of the drink.